Well…as many of you know already, yesterday was my 38th birthday! 🙂 I’m not really one who loathes these things…actually, any reason to have some fun is great with me, lol! Once I got past my 30th birthday, which came at a really troublesome time in my life, and probably really affected my ability to be happy about turning the 30-something corner, every other one has been a breeze. My 38th one was no exception! Sunday, my hubby took me to a very nice breakfast, then we planned on going to Lattin’s Country Cider Mill (one of our family’s yearly traditions), but after doing a little grocery shopping, waiting for my youngest girlie to finish baking a cake ;), and walking the bunny, it was really too late to try to fit the cider mill in. We decided to give this fun event the time it needed, and thus move it to next weekend, and headed off to a movie instead: 9. It was really very interesting, kinda spooky, and very visually impressive. 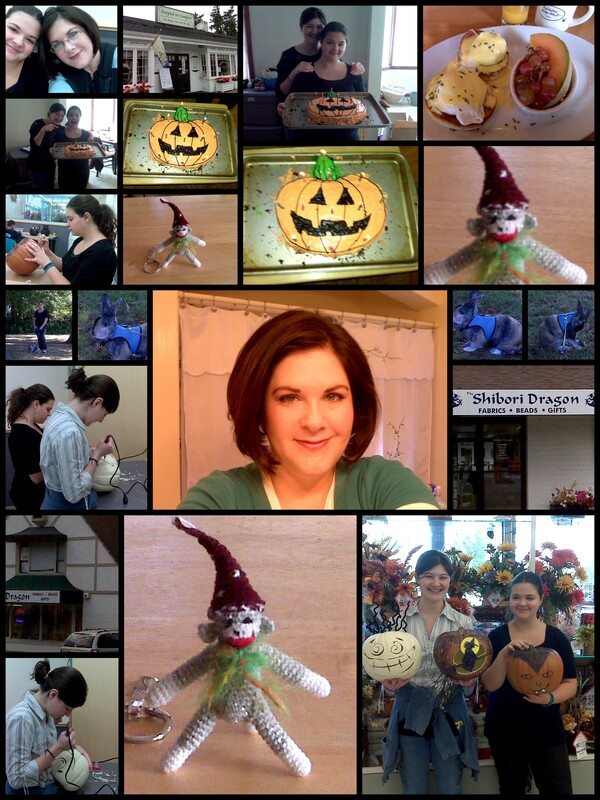 This entry was posted in Birthdays, Crafting, Family Fun, Kids Crafting, Life, Movies, Pets. Bookmark the permalink. Happy Birthday Bethany! I’m glad you had a good one. Happy Birthday girl! You had a fabulous weekend! I loved all the creations! What a wonderful Birthday your girls gave you. That sock monkey is adorable. She did a wonderful job. And the cake was a heart pan? Your crafting is wearing off on the girls. What a great set of pictures to remember this birthday by. Sorry I didn’t have your birthday down anywhere. I see it was a great one and you had tons of fun. Wow! Looks like you were treated right 😉 That is a dang adorable sock monkey – and one of the sweetest gifties ever ❤ And what a fabulous looking cake – looks very professional. You have raised them girls right, lol. I think you had your hair "did" right 🙂 You look purty! Hugs! I'm glad you had a great birthday! Happy belated birthday, Bethany! I’m so sorry I’m late with the wishes, but it looks as if you had a wonderful birthday bash! You are so fortunate to have such thoughtful & creative daughters…the cake was awesome and I love that sweet little sock monkey!! BTW – I love your hair, you look more like 28 than 38.